The other day, I came across this quote above, and thought I would share with you all. This applies to all sorts of things we deal with everyday. Your work, study, and social life, etc. and obviously, learning a foreign language has the same principle. Once you are comfortable with certain sets of vocabulary and expressions, do you catch yourself repeating the same all words and expression in certain situations? Feeling comfortable in any situation is great but if you want to improve, you definitely need to try to step out of your comfort zone. It is so easy to say, but so hard to do. =>I just met her for the first time. Karewa nani o ittemo uwano sora da. => It doesn’t matter what you tell him, his mind is somewhere else. Gaiken dakede hito o handan shinaide. => Don’t judge anyone by appearance. 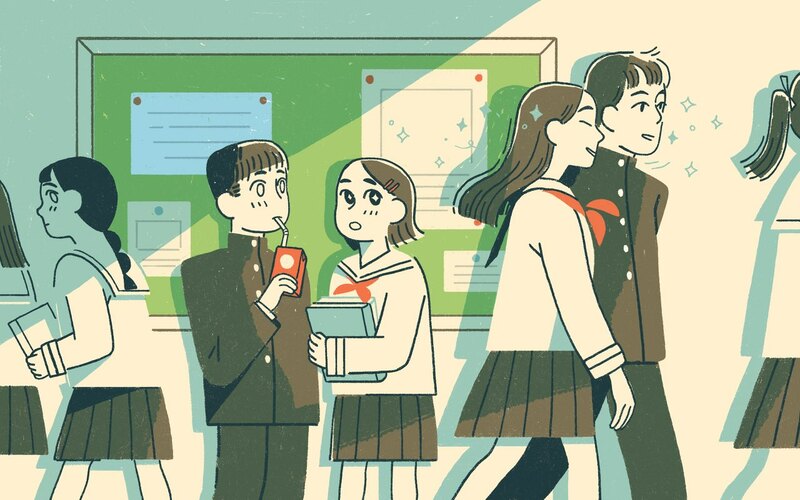 Itsumo nihongo de hanasuyō ni kokoro gaketene. =>Please keep in mind to speak in Japanese at all times. The twin brothers look so much alike, and it’s hard to tell one from the other. ==> Ano futago no kyudai wa sugoku yoku niteite, docchi ga docchi ka magirawashi. So, I hope you challenge yourself today by learning one extra new word/expression! Japanese onsen (温泉: hot springs) or sentō (銭湯: public baths), are are enjoyed by anyone of all ages. Onsen use hot water taken from a natural hot spring, while sentō use tap water heated by boilers. Both onsen and sentō are very enjoyable to Japanese and foreigners alike, but there is a set of unspoken instructions you should know before you go. Here is your guide to have good manners in Japanese onsen or public baths! Be sure to wash off your body before entering the bath. 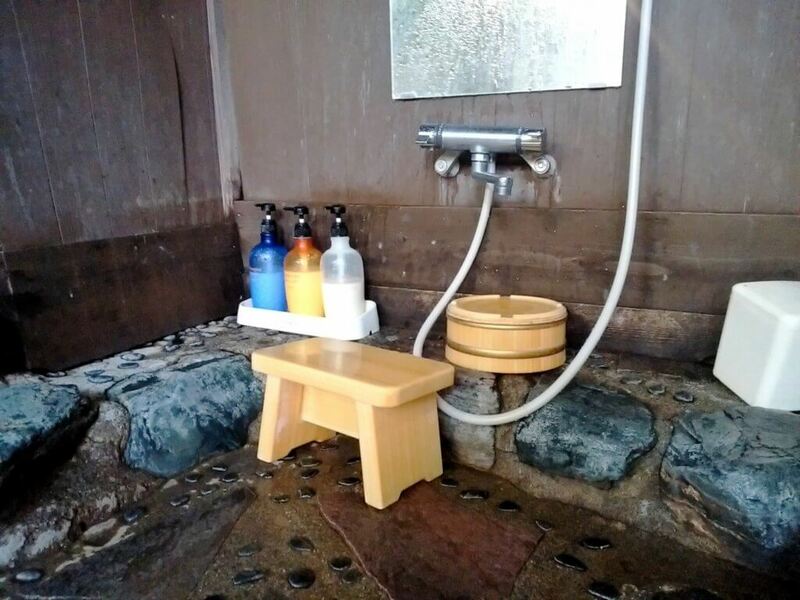 Every onsen features a washing area that includes several chairs and shower heads – and usually even shampoo and body soap – for you to use to clean yourself before entering the public bath. This is important as it keeps the onsen water clean for everyone who is using it. If you have long hair, it is polite to tie it back to keep it out of the water. Also, if you have long necklaces, jewelry, or watches that will dangle or possibly come off in the water, it is courtesy to take them off. 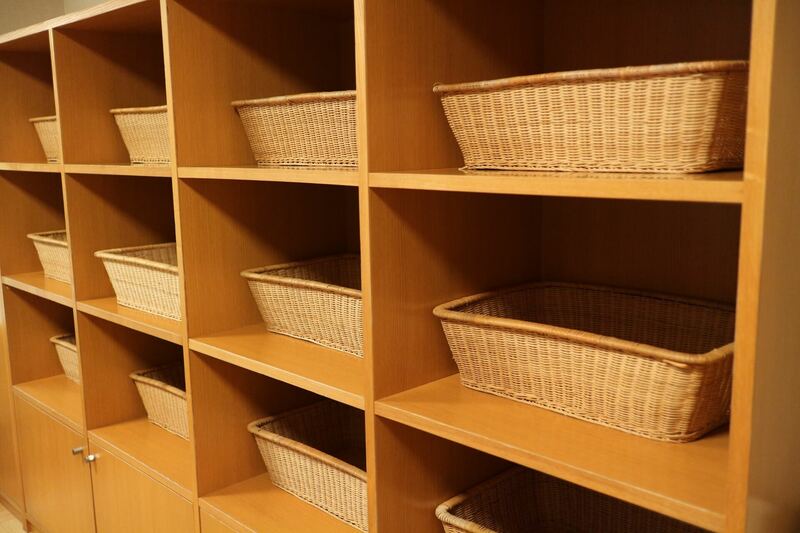 Some onsen/sento facility provide a shelf to put your small belongings and toiletries once you have entered the bath area, but not all of them.